We all have something that we consider magnificent. Mostly, people relate it to an animal or a splendid view that is too good to be true. In my case the horse has always been something magnificent to me. 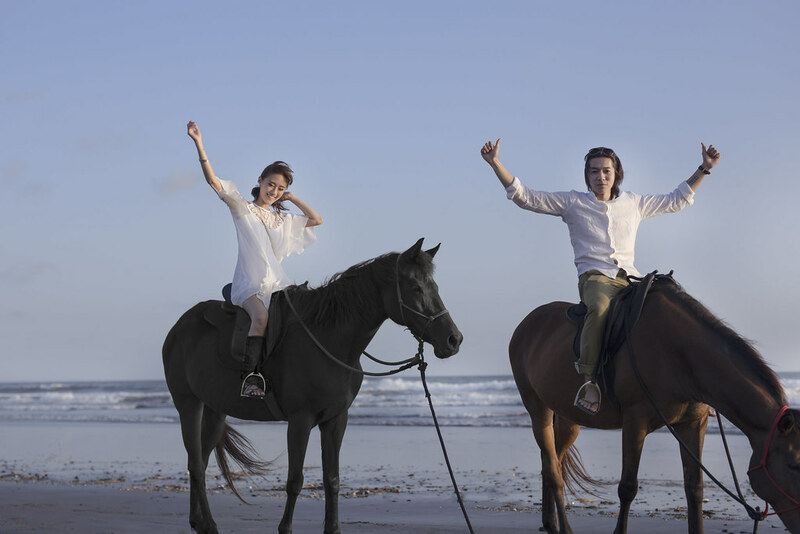 They exude a certain kind of proudness and elegance at the same time. I have always felt somewhat related to a horse. According to the Chinese zodiac, I was born in the year of Goat but came before New Year in the Chinese calendar and therefore I'm considered born in the year of horse. Perhaps that is why I felt that I'm part of the family. It is my first ever experience being so close to one of them and to ride on it. This was one of item in my "to-do -list" while in Bali. 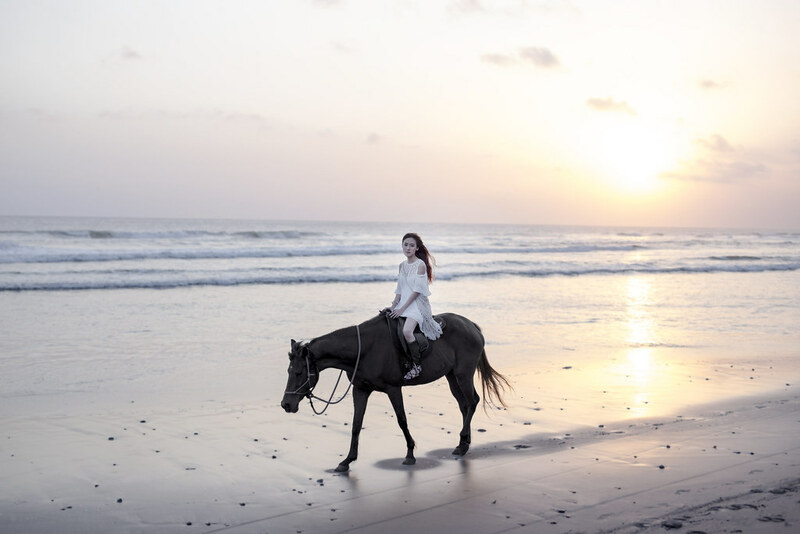 There are a couple of horse riding companies and tours available at the area I was staying (Seminyak) but I wanted a more secluded place with lesser crowd. Nico did some research and decided to ride out approximately 45 mins to a beach further away. I must say the time spent travelling is not wasted. The Beach was beautiful with a super gorgeous sunset view and it's sand is in black. I was elated. 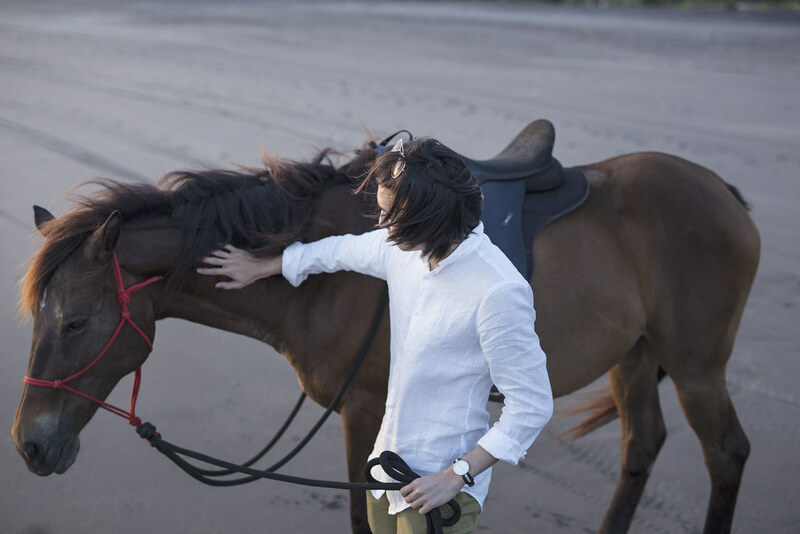 I couldn't believe that I got to ride on a horse along the coast and enjoy the sunset with dear Nico. Towards the end of the route my horse got a little temperamental, it was walking with great force, almost like a child stomping their feet. It was a rough one but I don't blame her, she must have been really tired after a long day and that made me feel kind of bad for riding on her and tiring her out. The rough ride did not change my views on horses, they are magnificent to me. And to end off my entry, here's a photo of Nico and I reluctantly raising our hands because our guide insist we raise up our hands and refuse to snap a picture for us until we do so. There goes my picture perfect cool shot that I have in my mind.